Do you own a smart watch? What do you do with it? Do you simply use it like your titan specimen or put it to charge while you run and maintain your health? There might be 100 possible offerings of your latest possession but researchers at Binghamton University have developed a smart hospital environment rather an application that might revolutionize the nursing facilities. The key rule of engineering probably lies in coupling different fields together to create an environment that suggests a solution corresponding to its need at the first place. This time, a group of scientists has tried to revamp the stale image of hospitals through a new-born communication system that will fill up the gaps between a visitor or a patient and a nurse or an association. 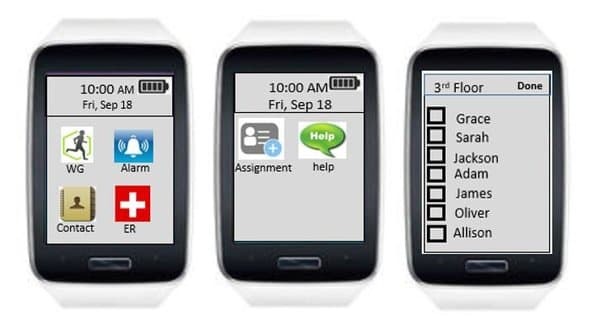 The team has developed a smartwatch application that will assist certified nursing assistants (CNAs) to attend to situations wherever her presence is necessary. Huiyang Li, Assistant Professor of Systems Science and Industrial Engineering of Binghamton University with his subordinate Haneen Ali have envisioned the application as a medium of working communication. The primary design combines each one from the bunch of facilities available such as call lights, chair-bed alarms, wander guards, calling-for-help functions and pops up a notification if one among the specifics is in need of user attention. The application was first clubbed into a prototype and was applied over a group which shows that the response time to an alert was reduced by a noticeable amount. Through repetitive evaluation and design, a stable structure was accepted which was later tested as mentioned above. Li mentioned it had happened that patients had to wait long before taking the nature’s call. This complicated the matter and patients had suffered the most. To decrease such possibilities, one end of the safety notions will now be attached to a CNA’s wrist with the help of a smart-watch. Now, contemporary pressure sensors (attached to patient's bed or chair) and call lights provide the necessary notifications which might be missed if an attendant is out of his room. However, if he is always attached to the alarm, such occurrences will not ever be true. The researchers explained the user-friendly application provides customized notifications for different alarms. Every attendant will face a personalized UI that will help him build his schedule. One can sign in and fit the patient’s name for whom he is assigned. If an alert is triggered, a notification pops up which contains the resident's name, the type of alarm, the room number and the CNA who is responsible for the certain patient. The application could also be synced to receive everyone’s notifications. 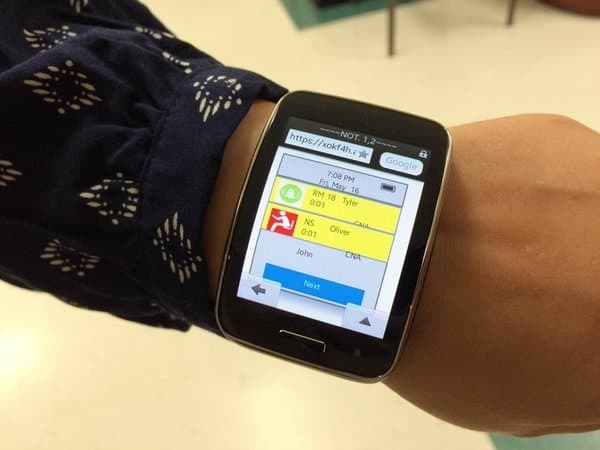 According to Li and team, although initially, buying smart watches to accomplish the mission sounds costlier, this will eventually refurbish the stagnant customs and produce a smart change in the hospital network. Furthermore, this will also ensure that the patients are completely safe. The research has been published via Springer publication in “Human Aspects of IT for the Aged Population” journal. I have made demo based on similar application back in 2011 based on RF. I am sure this watch is going to be very useful. Sir, we might want to read an explanation of your work (please, add a short tutorial) and would like to know about the motivation that worked behind your work.